Groundwater resources are among the world’s most important and vital supplies which are highly required for continuation of human life as well as wildlife. The growth of world’s population and the occurrence of climatic drought in recent decades have put a severe strain on these blessings all over the world so that most of the aquifers have dried up and the depth to groundwater in wells has deepened severely. In the present study the Analytic Network Process was used to extract degradation risk zones of groundwater in Marand Plain. To do this, all the effective factors including precipitation, air temperature, land use, soil permeability, flow direction, proximity to rivers and groundwater exploitation via wells and qanats were used. After construction of the database in GIS environment, the structure of the network was designed in Super Decision software. Clustering and pair-wise comparisons of the elements were executed based on the results of the Expert Knowledge questionnaire and the priority weights for each cluster and parameter was extracted consequently. Finally, the priority weights of the criteria were applied on the map layers and the final degradation risk map created overlaying all the maps. According the final output of the study, the Eastern and Western parts of Marand Plain have the highest and lowest susceptibilities respectively. It’s also found that the groundwater decline trend mimics the surface topography and flow direction in which has an East-West pattern. Akbari, M., Jarge, M.R. and MADANI, S.H., 2009. Assessment of decreasing of groundwater table using Geographic Information System (GIS). (Case study: Mashhad Plain Aquifer) (in Persian). AlRawabdeh, A.M., Al-Ansari, N.A., Al-Taani, A.A. and Knutsson, S., 2013. A GIS-based drastic model for assessing aquifer vulnerability in Amman-Zerqa groundwater basin, Jordan. Azizi, A., Malekmohammadi, B., Jafari, H.R., Nasiri, H. and Parsa, V.A., 2014. Land suitability assessment for wind power plant site selection using ANP-DEMATEL in a GIS environment: case study of Ardabil province, Iran. Environmental monitoring and assessment, 186(10), pp.6695-6709. Barnett, T.P., Pierce, D.W., Hidalgo, H.G., Bonfils, C., Santer, B.D., Das, T., Bala, G., Wood, A.W., Nozawa, T., Mirin, A.A. and Cayan, D.R., 2008. Human-induced changes in the hydrology of the western United States. Science, 319(5866), pp.1080-1083. Bilesavar, V.2013.A study of Marand Plain aquifer fluctuations based on the region’s geological formation.1st International Geosciences Congress. Tehran, Iran.16-20 Feb (in Persian).Bloomfield, J.P., Jackson, C.R. and Stuart, M.E., 2013. Changes in groundwater levels, temperature and quality in the UK over the 20th century: an assessment of evidence of impacts from climate change. Chiew, F.H. and McMahon, T.A., 2002. Modelling the impacts of climate change on Australian streamflow. Hydrological Processes, 16(6), pp.1235-1245. Fakhri, S.; Asghari, A.; Najib, M.; Barzegar, R., 2015. Investigation of nitrate concentrations in groundwater resources of Marand plain and groundwater vulnerability assessment using AVI and GODS methods. Journal of Environmental Studies. Article 6, Volume 41, Issue 1, spring 2015, Page 49-66. Faridpour, M., (2014). Analyzing the impact of drought on groundwater quantity and quality in Marand plain.M.Sc. dissertation, University of Tabriz, Iran(in Persian).Fazal, S., 2008. GIS basics. New Age International (P) Ltd., Publishers. Foster, S. and Cherlet, J., 2014. The links between land use and groundwater—Governance provisions and management strategies to secure a ‘sustainable harvest’. The global water partnership. Available at the GWP ToolBox: www. gwptoolbox. org. Foster, S.S.D. and Chilton, P.J., 2003. Groundwater: the processes and global significance of aquifer degradation. Philosophical Transactions of the Royal Society of London B: Biological Sciences, 358(1440), pp.1957-1972. Ganguli, M., 2011. Groundwater withdrawal and land subsidence: A study of Singur Block, West Bengal, India. International Journal of Geomatics and Geosciences, 2(2), p.465. Geological Survey of Ireland ,2012. Groundwater Recharge-URL: https://data.gov.ie/dataset/gsi-groundwater-recharge. Hernandez, L.A. and Gailbraith, J.M., 1997. Soil survey of South Latourette Park, Staten Island, New York City, NY. Jackson, R.B., Carpenter, S.R., Dahm, C.N., McKnight, D.M., Naiman, R.J., Postel, S.L. and Running, S.W., 2001. Water in a changing world. Ecological applications, 11(4), pp.1027-1045. Masoudi, M., Zehtabiyan, G.R., Noruzi, R., Mahdavi, M. and Kuhenjani, S.B., 2009. 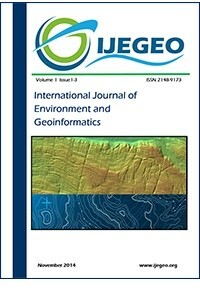 Hazard assessment of ground water resource degradation using GIS in Mond Miyani basin, Iran. World Applied Sciences Journal, 6(6), pp.802-807. Morris, B.L., Lawrence, A.R., Chilton, P.J.C., Adams, B., Calow, R.C. and Klinck, B.A., 2003. Groundwater and its susceptibility to degradation: a global assessment of the problem and options for management. Najib, A. M., 2002.Marand plain hydrogeology and effect of water level changes in quality of groundwater.M.Sc. dissertation, University of Sistan and Baluchestan, Iran (in Persian). Nayak, T.R., Gupta, S.K. and Galkate, R., 2015. GIS Based Mapping of Groundwater Fluctuations in Bina Basin. Aquatic Procedia, 4, pp.1469-1476. Orr, L.A., Bauer, H.H. and Wayenberg, J.A., 2002. Estimates of ground-water recharge from precipitation to glacial-deposit and bedrock aquifers on Lopez, San Juan, Orcas, and Shaw Islands, San Juan County, Washington (No. 2002-4114). Porosity, Permeability, and Ground Water. U.S. Department of the Interior | U.S. Geological Survey -URL: http://online.wr.usgs.gov/outreach/landpeople/students/cc_ppg.html. Saaty, T.L., 2006. The analytic network process (pp. 1-26). Springer US. Shalini, T.A., Pandey, A.C. and Nathawat, M.S., 2012. Groundwater Level and Rainfall Variability Trend Analysis Using GIS in parts of Jharkhand State (India) for Sustainable Management of Water Resources, I. Res. J. Environmen Sci, 1(4), pp.24-31. Woldeamlak, S.T., Batelaan, O. and De Smedt, F., 2007. Effects of climate change on the groundwater system in the Grote-Nete catchment, Belgium. Hydrogeology Journal, 15(5), pp.891-901. World Water, U.N., 2014. The United Nations World Water Development Report 2014. UN Water, New York, unesdoc. Unesco.org/images/0022/002257 E, 225741. Wozniak, K.C., Woodcock, D., Herrera, N.B., Fisher, B.J., Morgan, D.S., Lee, K.K. and Hinkle, S.R., 2005. Ground-water hydrology of the Willamette Basin, Oregon. US Department of the Interior, US Geological Survey.